With the Crossover we have expanded the Marine Band series to introduce a new, top-of-the-line professional quality instrument for the discerning player in modern blues, rock, jazz, soul or funk. The revolutionary laminated bamboo comb (patent pending) is completely sealed, making it water repellent and exceptionally stable. In combination with the screw together assembly the Crossover is extremely airtight, with fast, even response and a raspy, powerful sound which is exceptionally well suited to amplified playing as well as acoustic styles. The modern compromise tuning is ideal for single note playing in different positions in contemporary blues, rock, jazz, soul, funk, while still ensuring a full chord sound, making the Crossover an optimal addition to the great Marine Band range. 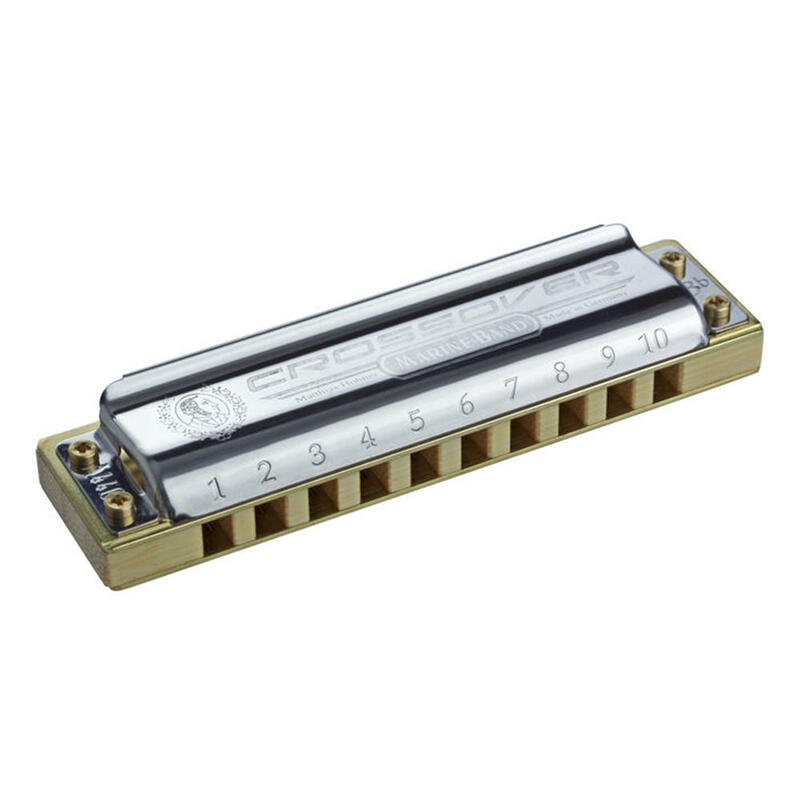 If you are looking for that step up in class or just want to try something new and revolutionary to blues harp world give the 'Crossover' a try, like everbody else you just might fall in love with it, bluesman or not. Grab a vintage microphone and plug into your harp amp for a great sound. Available in all 12 keys, low models available upon request.